The all-new Vauxhall Insignia Tourer is the latest addition to the line-up. 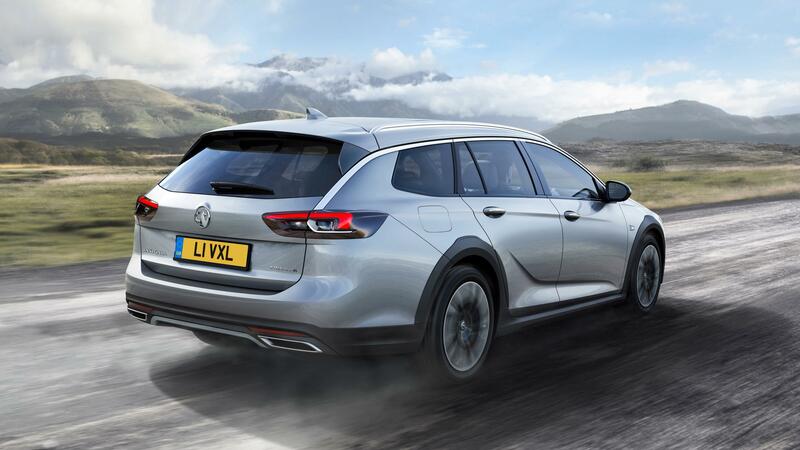 This is the all-new Vauxhall Insignia Tourer which is a flagship model complete with higher ground clearance and all-wheel drive featuring torque vectoring. It will make its official debut at September’s Frankfurt motor show and the new model is larger, lighter and more spacious than the car it replaces. Most of that is down to new architecture and a raft of innovative technology. There’s also, given that it’s made for use over rough surfaces, all-round black protective cladding as well as rear and front skid plates. The new Vauxhall Insignia Tourer also features a new diesel engine and new eight-speed automatic transmission. Also, to underline its abilities along country lanes, Vauxhall has opted not to use a rear differential set-up but instead have two multi-plate clutches that are electrically controlled to help deliver power to the wheel that needs it most. Also, to counteract understeer when driving on tight corners at speed, the system will deliver more torque to the outer rear wheel to ensure safety and without any driver intervention to correct potential understeer. The Vauxhall Insignia Tourer also features a better FlexRide chassis which delivers a more engaging driving behaviour and is suitable for a variety of road conditions. Essentially, the driver can set the most suitable driving mode to alter the throttle, steering and dampers, and for the automatic transmission the shift point as well, to best suit their driving style. As usual with the Insignia range, the Tourer comes with lots of equipment including the firm’s IntelliLux LED matric lights. There’s also Vauxhall OnStar system and smartphone connectivity; the smartphones can also be charged wirelessly and the infotainment system is excellent. There are other features including keyless open and start with owners able to kick beneath the rear bumper to open the tailgate and kick under it again to close it as well. The boot space is 135 litres larger than the model being replaced with 1,665 litres available. There’s also various loading space configurations and there’s a standard roof railing fitted to help underpin the car’s adventurous look – and carry roof loads up to 100 kg. 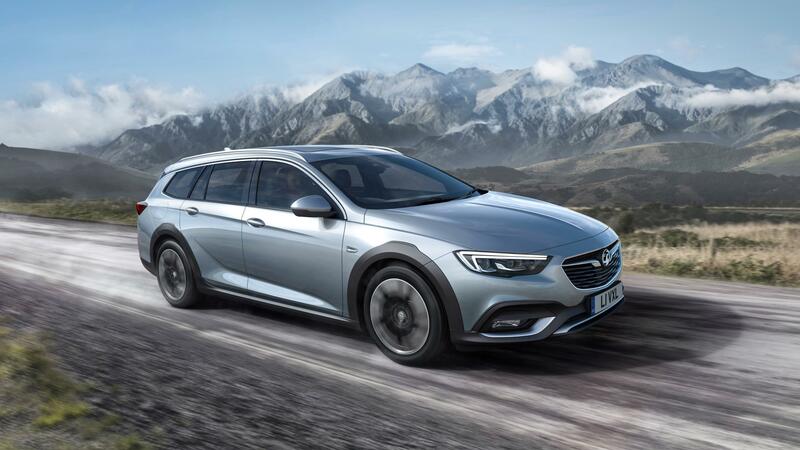 Most car manufacturers now have a decent offering for those who want to cross muddy fields or traverse rutted country lanes safely and the Vauxhall Insignia Tourer is an impressive addition to the market. 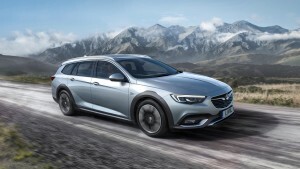 This entry was posted in Car Leasing, Cars, Family Car, New Cars and tagged Vauxhall Insignia Tourer by Steve Lumley. Bookmark the permalink.